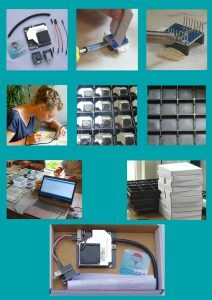 What might happen when you put three soldering irons – hundreds of wires – air quality sensors – temperature sensors – Wemos microcontrollers – plastic tubes – a computer – foldable cardboard boxes AND five dedicated humans in one room together for one day? A few hours later, 3168 pins were soldered – 396 wires connected – 99 Wemos microcontrollers programmed – 99 hackAIR home sensors assembled – 99 cardboard boxes folded and packed. The resulting stack of 99 hackAIR home sensors is now waiting to be adopted, one citizen scientist at the time. 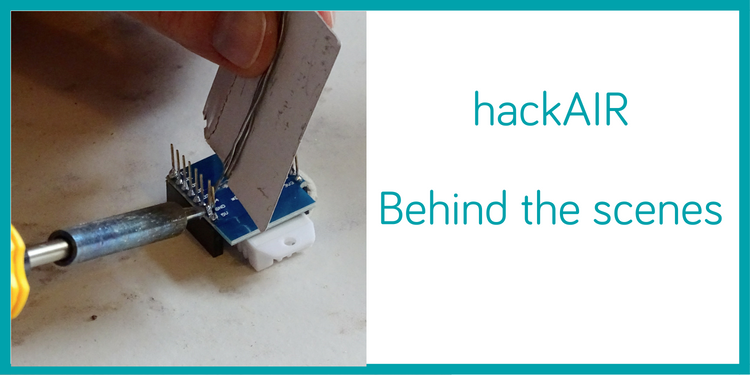 Have you always wanted your own air quality sensor, but were afraid to fiddle with electronics and programming? This is your chance.